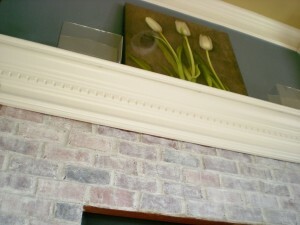 Modern shabby chic styles, country style and classical decor of a loft have something in common — whitewash brick fireplace. 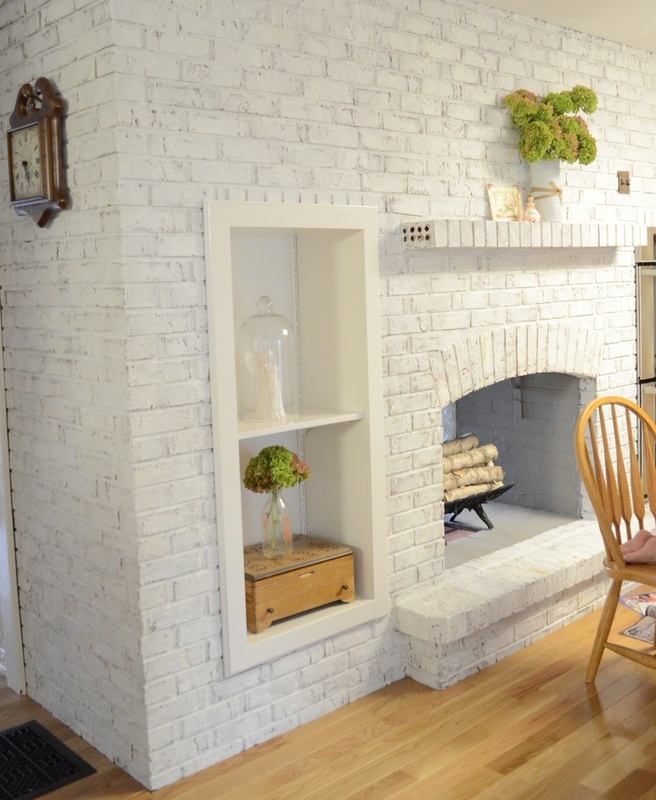 But, honestly, it’s such a universal design of this important and comfort-creating part of the room, that it will suit pretty much any house and interior, no matter what colors are used in it or what kind of furniture is put in. 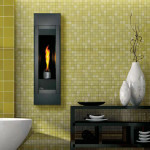 It will complement any look of the room with a bit of a daring, trendy touch. 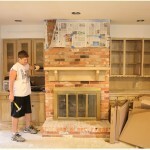 Also, it won’t stand out too much (unless you make it so) and overload your interior. 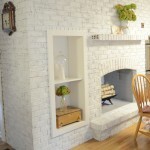 But, at the same time, painting brick fireplace whitewash will be a nice and, moreover, quite inexpensive way to renew the decor of the room without making some drastic changes, that will cost you a fortune. 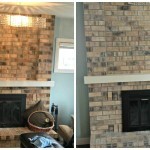 It will make the house seem lighter, more comfortable, but still, it will preserve its nature and part of its initial state. 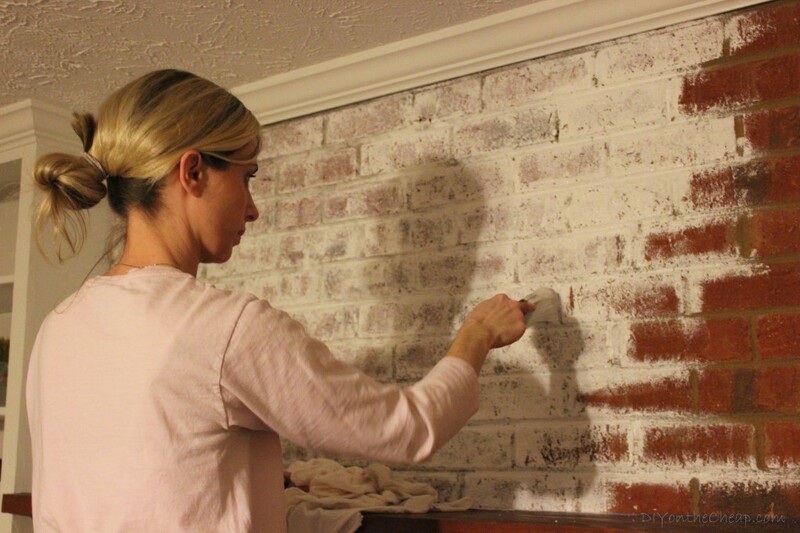 So, if you decided to make a change and turn your brick beast into white, weightless and feathery angel, or give it quite classy, smooth and well-maintained look, then let’s get to work! 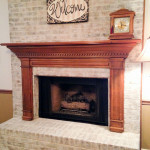 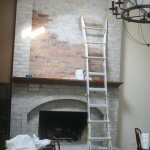 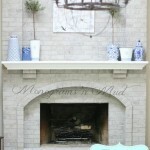 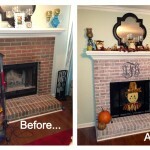 Naturally, you want to find some pictures that show the process and the final results of the project you’re about to start, and, believe me, you’ll find thousands and thousands of pictures of whitewash brick fireplaces before and after, that will inspire you and make you be willing to start remodeling right away. 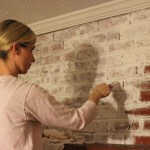 You may use ordinary paint, different types of organic and natural pains or lime wash to do it. 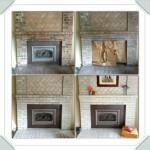 In fact, you may pick up anything you’re comfortable to work with. 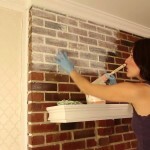 But remember, that you have to mix paint with water in order to achieve the washed effect. 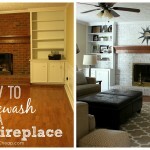 Before the actual fun begins and you can start painting brick fireplace whitewash, you should prepare its surface, clean it up and wipe off all the dust, ash and spider webs, so that it would be easier to apply the paint evenly and prevent it from falling off. 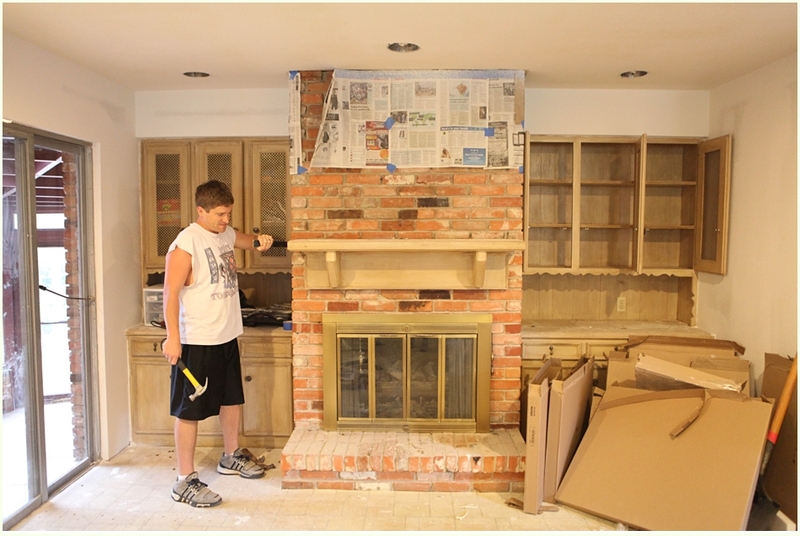 Then, let it dry completely and start painting. 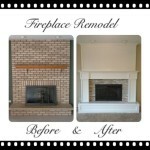 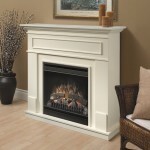 You may apply as many layers as you want, until you’re satisfied with how your fireplace looks.